Friendly staff very clean and good service only they need to change the Lunch and Dinner Menu every while the food is good very good breakfast and not far from La Fayet an area full of shops and restaurants. 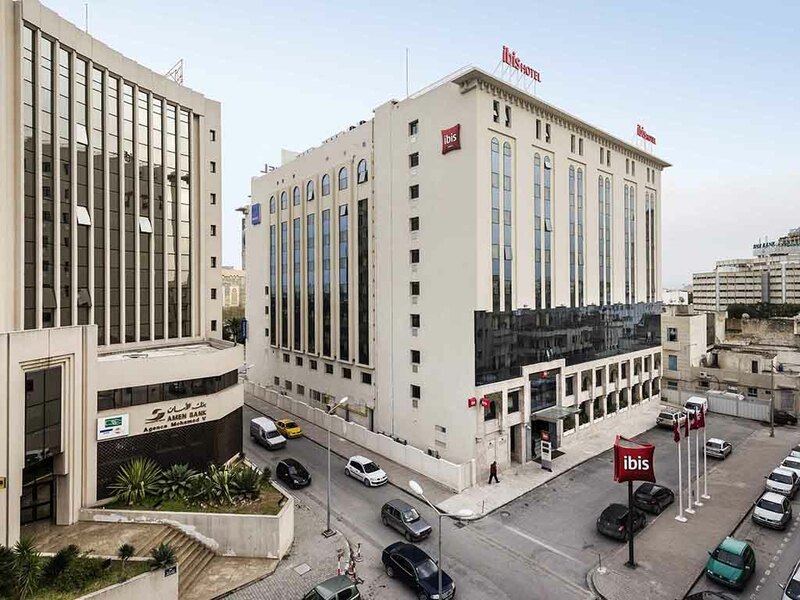 This was not my first time at ibis Tunis, so I know the Hotel very well. At Check-In Welcome Drink Voucher was given, there was o need to ask for it. When I left the Hotel, I forgot 5 of my CreditCards in my room. Houskeeping found it and called Reception. At this time I was at the Airport already when Hamzad called me. So I decided that a colleague of mine from our Tunis Office will pick up my staff days later. Everything worked very well. Hamzad is really nice and helpfull, his German is good. For sure, I did not expect, that when I will left something in the room, that the Hotel will call me on my phone. So this is a really good Service ! - Once again many thanks ! Really good food and the room was nice enough but I was put in a disabled room (I am able bodied) and the shower is a death trap. The water didn't drain away properly so filled the entire bathroom floor including the area by the toilet and the sink. As a result this became incredibly slippy on the smooth tiles and I genuinely feared using the bathroom without putting loads of towels down! If I'd gone to use the facilities in the night I could quite easily have slipped over and cracked my head open! My colleague commented the same on her room in the morning before I'd said anything about mine. This needs to be addressed if you continue to put able bodied people in a room with disabled facilities. I always enjoy the clean, friendly atmosphere. Well done. Its a great stop for me as I return to the US each trip. The rooms are always ready and fresh. the only problem I have is regulating the room temperature. It was very hot and I could not seem to cool it down. When I opened the window that helped but there was too much noise. Location is okay, room is quiet but shower was not working very well and room smells old. But for the price these are not a big problem. The problem is the staff at the reception. Right at the check in you understand you will not have a good stay if you need them. They are not helpful and abrupt when giving information or not willing to give information at all. They are the front stamp of the hotel which in this case means bad. The waiters at breakfast also do not seem to work very happy. The waiters at dinner were nice and respectful. The doorman was helpful, offering to carry our luggage as well as always receiving us with a smile. It's just the main staff, the receptionists, that do need a lot of training to become some how pleasant. It is a nice, clean and staff are very Plesent, Bar food is very nice. Location of Hotel was good for our purpose, Bar Food was very nice, Services was very good, Rooms and bathrooms clean and tidy no issues with the Hotel at all. The only element needing improvement is the restaurant, which considering the local prices it is an expensive service option but it could do better, in particular: - speed in service. It is truly VERY slow in serving. - Vegetable-based dishes. I wish the restaurant menu included options for eating vegetables on their own (not as side-dish of a meat or fish order). The only vegetables available on order by themselves are salads, which in cold weather are not very appealing. The 1 vegetable soup in the menu is very dull, mainly potato and a little extra to give it an extra layer of colour and flavour. The recipe definitely deserves to be revised. Correct but could be better! I didn’t feel special at all. Staff from the restaurant seem they are not happy and they are not nice for the customers, I mean they are not nice but they are correct and I didn’t have any problem. I generally enjoyed my stay in IBIS. That said, I had a bad experience with the staff in the restaurant. A bit abrupt. I am not talking about all staff members, just a couple of them in the restaurant who really were limit impolite.